From the clothes we wear to the packaged food we eat, the tools we use to the vehicles we drive, everything is a product of the manufacturing industry. Commodities that we use in our everyday life would not be available if not for this ever-growing industry. The hierarchical producer-consumer supply chain has been around for a very long time and is not going to become obsolete any time soon. Over the years, the industry has revolutionised, from hand production methods to machines, to improved mechanical technologies and finally to digitalisation, like 3-D printers. Currently in the 4th industrial revolution, experts are working towards finding new ways to incorporate technology into society and even human bodies.Optimizing concept generation, production, and product transaction has become the main goal of this revolution, thus giving rise to the concept of “Smart Manufacturing”. What if there was a way to make smart manufacturing even smarter? Is it possible to develop a system that is way more optimal, transparent and secure than what already exists? And most importantly, would it be feasible? These are the challenges that Productivist has taken up to solve, by identifying and putting to use the decentralized nature and security features blockchain technology – which is itself a revolutionary technology – in their project. Subsequently, they are on the path to designing and implementing an optimal product that meets the industry’s substantial needs, by applying blockchains to the manufacturing industry’s supply chain. Productivist provides a peer-to-peer network which connects manufacturers to their potential clients by mapping global manufacturing capacities, and it is the first of its kind. Now let me explain what this means. Basically, when an individual or a company (public or private), needs some kind of items or parts manufactured for their use, Productivist provides the platform for them to put forward their needs and find the right manufacturers who comply with their needs. It stores manufacturer details on the blockchain. Now, the blockchain finds the best matches for the clients with respect to production capacity, machinery and time and notifies them. The manufacturing companies then put forward their best offers and facilities, and the clients can choose whoever they find suitable. The client-manufacturer deal is finalised and recorded with a smart contract, making it secure and transparent. Also, the product is decentralized, so identical blocks of data are stored across the network, and there is no single entity that has control. Likewise, there is no single point of failure. Originally started as a collaborative network which connected 3D printing service providers to potential clients under the name Freelabster.com, Productivist now plans to expand as a blockchain platform to accommodate all manufacturing technologies. The manufacturing industry has reached a state where heavy machinery, relocations and aggressive management is necessary to survive. Consequently, the Productivist team aims to provide a solution to this problem with an open, free and global alternative. The Productivist ecosystem is drafted to support all sectors of manufacturing. Its open blockchain enables anyone to contribute to the system. They also aim to equip an unsurpassable tracking mechanism to enable live tracking for companies of all tiers, through a smart device. This makes it easy for them to carry out complicated orders, manage multiple clients and even manage geographically far away sites with relative ease. The best part is that, like I have mentioned before, all of this is open-source and free. Thus, companies of all sizes can increase their manufacturing capabilities without having to increase their expenditure. In fact, their expenses could actually decrease. 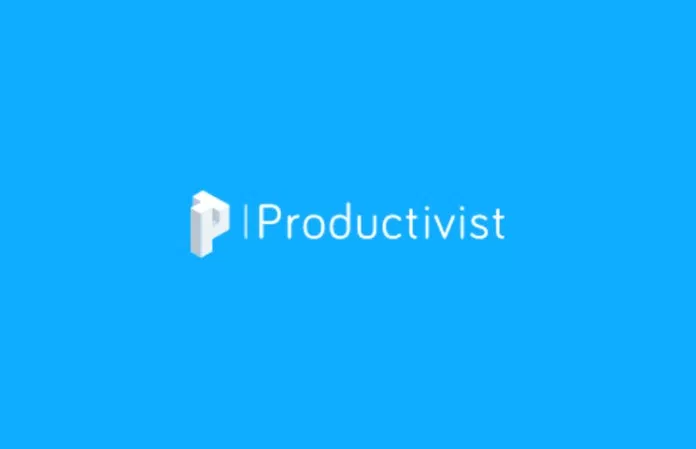 The Productivist Blockchain project aims to create an open data stream where-by private individuals and companies of any scale can contribute to power the Industrial Revolution 4.0. It is a unique project which deserves all the support it can get. In terms of innovation and usefulness, Productivist definitely tops the charts and shows great promise to be a successful venture. Most importantly, it is a solid idea backed by an extremely talented and strong team of experts. Right now, it is only at the beginning of its journey, and has a long way to go. However, with more and more supporters and investors, the Productivist project will become unstoppable and the leader in its domain, playing a significant role in the 4th industrial revolution.